Standing with architectural masterworks The Seagram Building and Lever House, 100 East 53rd Street is the city’s newest modernist achievement, offering a rare chance to experience impeccable gallery living in the heart of Midtown’s Cultural District. One Hundred East Fifty Third Street is the quintessential Midtown Manhattan skyscraper. Located steps from the two masterworks that invented the genre—Lever House and the Seagram Building—the soaring condominium honors the genius of modernist architects Gordon Bunshaft and Ludwig Mies van der Rohe, and extends their legacy to 21st-century urban living. 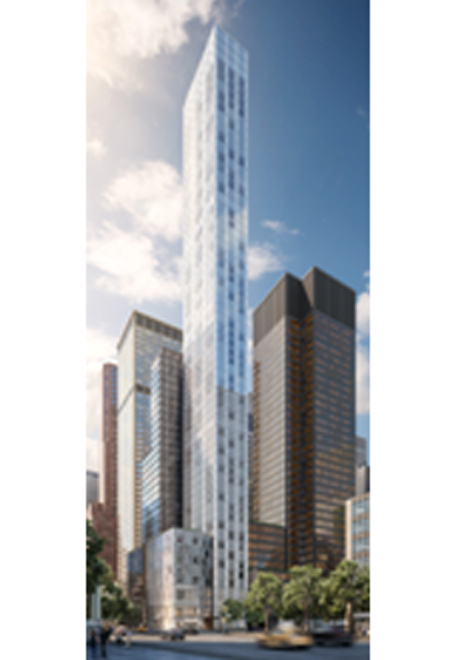 Led by globally renowned architect Norman Foster, Foster + Partners has designed One Hundred East Fifty Third Street with special regard for the neighboring Seagram Building. The 63-story tower is clad in aluminum and low-iron glass, whose lightness provides a counterpoint to Mies van der Rohe’s palette of bronze hues. The undulating folds in the broad facades lengthen their slender appearance, and further distinguish the new icon from its famous predecessor. 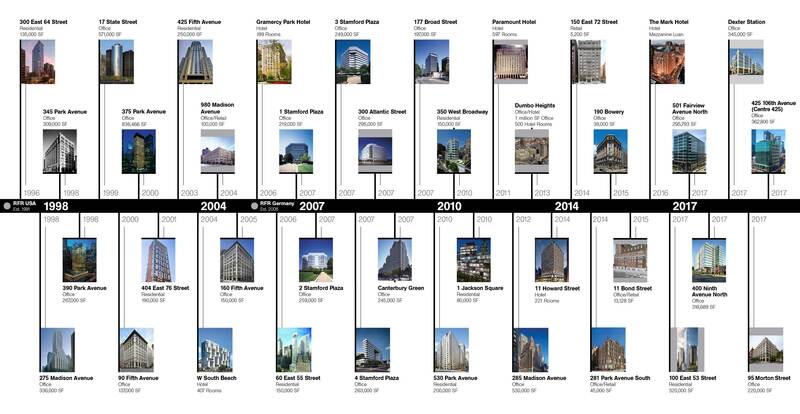 Meanwhile, the elegant proportions of the tower and its 9-story podium evoke the relationship between Seagram’s heroic Park Avenue presence and its corollary volumes. That Foster reduced a timeless form to its essence pays the greatest homage to classic modernism. In all, One Hundred East Fifty Third Street is neither a slavish reproduction nor brash spectacle, but a true architectural dialogue of innovation and heritage.